Iodine is used by corals to aid and control photosynthesis. Adding Iodine regularly means that your corals will open larger for longer and be healthier with better colour. Marine reef keepers love this product. For the first time it's possible to safely boost calcium and magnesium levels together from one bottle. How much easier could it be? 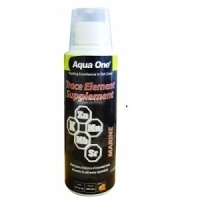 Boost your marine macro algae growth with this superb Iron rich supplement. Really aids the development of your sump and refugium flora.